So here I am again with a bunch of different news items plucked from my inbox. 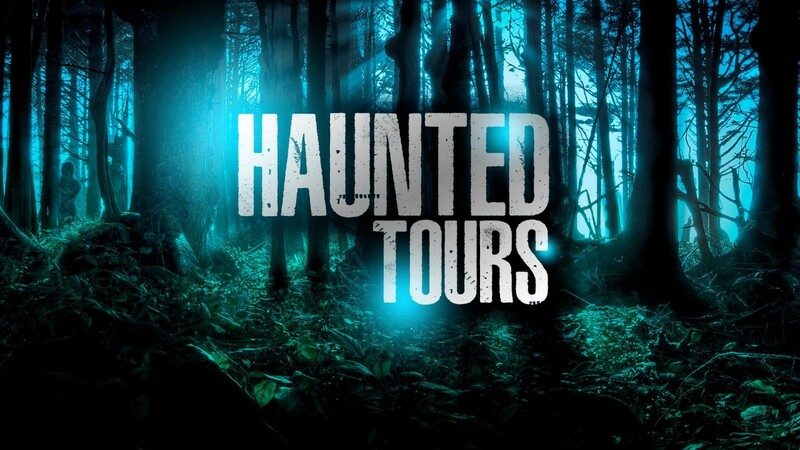 First off is a new paranormal investigation show called Haunted Tours. It is to be hosted by Victoria Catherine and to star Stephen Erkintalo. It promises to be different to the more traditional investigation shows by going...extreme. Erkintalo is said to provoke the evil spirits he seeks out, via use of Ouija board, contacting the dead through mirrors, even by hanging upside down on a cross. At the very least it sounds like it will be entertaining viewing. Haunted Tours comes to Amazon Prime, Hulu and Netflix in late October, season 1 will be exploring some of Florida's most haunted places. Legendary Misfits guitarist Doyle Wolfgang Von Frankenstein has released the official music video "Run For Your Life" which is the first single off his upcoming As We Die EP that is due out today in fact. The video (directed by Brian Cox) has some great editing and tells the tale of a mini slasher film. Included is the video below, it has quite a cool tune to it that works well with the video. Still on the subject of music with a horror twist comes Davey Suicide's new music video for their song "No Angel" which comes from their third full length album Made From Fire that came out last March. The video directed and edited by Vicente Cordero features a random bunch of alternate types out in a desert running away from a dark angel. Check out the video below. Last but not least is Indie thriller The Drifter that is due to be released on 6th June across multiple digital platforms. The film tells the story of a troubled man on a downward spiral induced by painful memories of his dark and distant past. This man ends up in a small remote town where an old acquaintance becomes dangerously determined to find out just what occurred in the drifter's past . Directed by Craig Calamis The Drifter was nominated for several awards such as Best Narrative Feature and Best Director, as well as winning the Audience Award at the 2015 Queens World Film Festival. Check out the trailer below which is certainly thrilling.